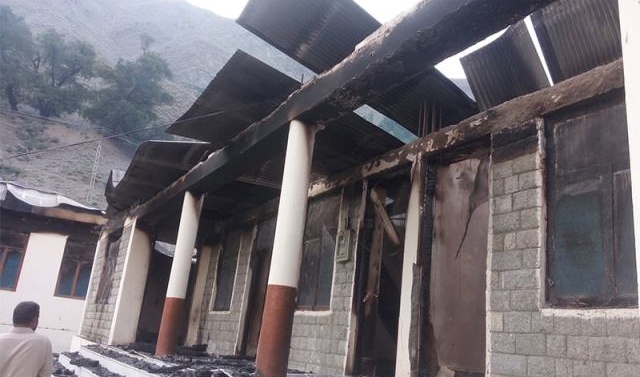 GILGIT: Nine suspected militants involved in torching schools in Gilgit-Baltistan (G-B) Diamer district were taken into custody by local police on Saturday. During the operation in the Tangir area this morning, Arif Hussain, a police official, was killed in a shoot out with the culprits. Two suspected militants were taken into custody from the house, sources say. 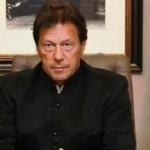 “We have managed to apprehend a total of nine suspects up till now,” an official choosing to remain anonymous told The Express Tribune. The official privy to the details said that the ‘militants’ are a part of a wider nexus with links to another province. He, however, refused to comment any further as an investigation into the incident is still under way. Back on August 3, at least 12 schools were set on fire by unidentified attackers late Thursday night in Gilgit-Baltistan’s Diamer district. 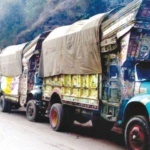 Initial reports revealed that at least six school were all girls educational institutes situated in Diamer’s Chilas area.